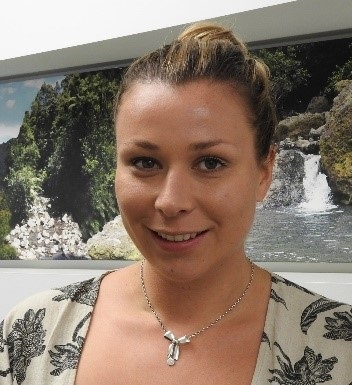 We are delighted to welcome on board a new Accountant in our Helensville office. Stephanie Schroder comes from the commercial accounting realm, having worked at Penguin Random House (book publishers) before joining our practice. Stephanie lives in Helensville and can see the UHY Haines Norton office from her house so she is excited for the super easy one-minute commute to work every day! Away from work she loves all things outdoors, including skiing, mountain biking, nature walks and surfing. We were sad to say goodbye to Henderson Accountant Dharmesh Kumar last month. We will miss his upbeat personality and the enthusiasm he applied to every aspect of his role, and wish him the very best for the future. Congratulations to Samson Ali in our Audit team, who has passed his CPA Global Strategy Exam and now has only one elective paper to go. 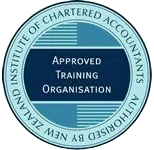 Congratulations to Accountants Arpita Khanwalkar and Rafe Williams, who are both being promoted to Senior Accountant positions. 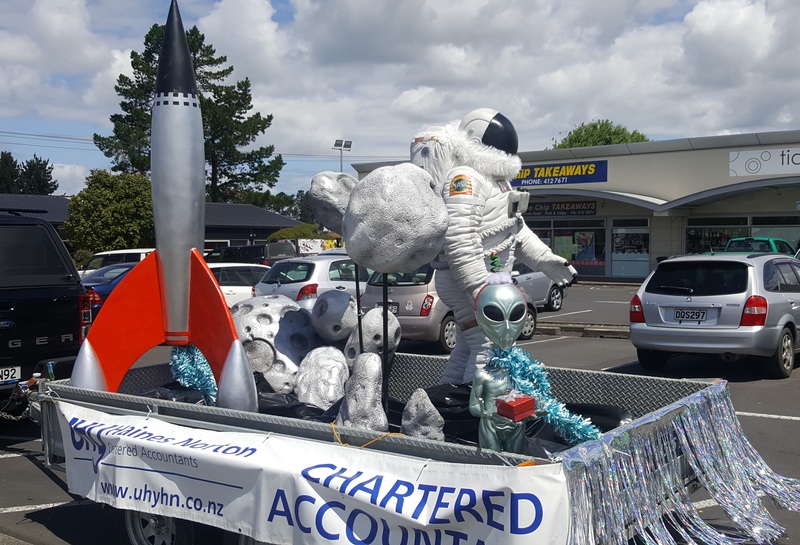 UHY Haines Norton… the accountants taking you into the future! 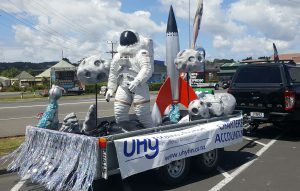 We were very proud of our space-themed float in this year’s Kumeu Christmas parade on 8th December. 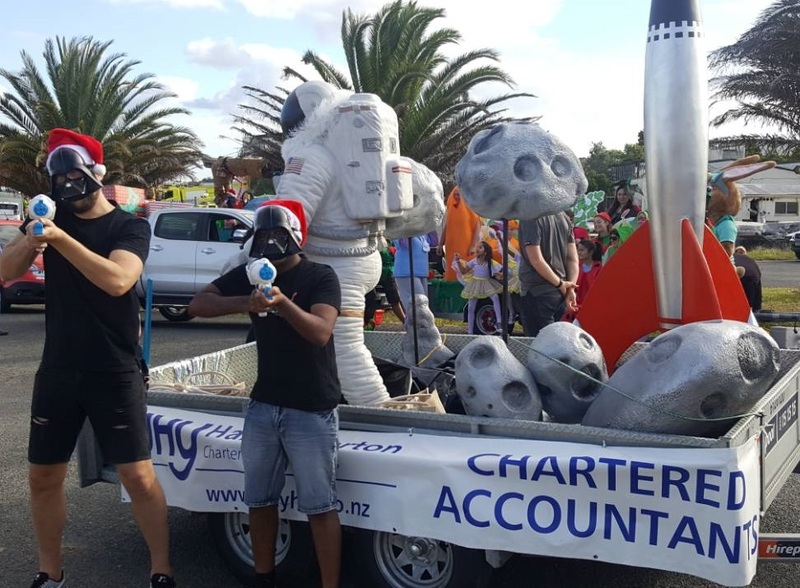 It featured a very cool rocket ship, spaceman, alien and meteor rocks. 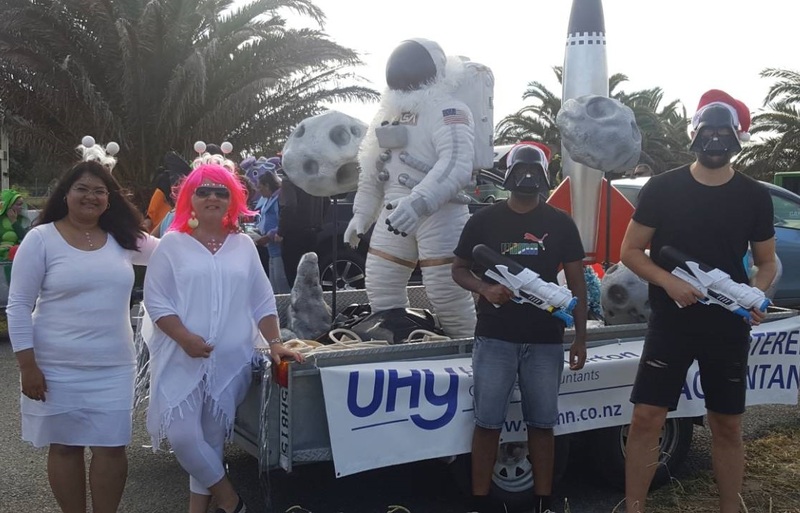 And our Kumeu crew rocked the space look!